Venues he has performed at while in the “The Airmen of Note” & "The Falconaires" include Carnegie Hall, The White House and The Detroit Jazz Festival. Also, while in the band, he played with Michael Brecker, Randy Brecker, Joe Williams, Ernie Watts, James Moody, Henry Mancini and Stanley Turrentine. Other people he’s played with in his career are Jack Jones, Dianne Shure, Bob Hope, Roger Williams, Louis Belson and The Four Freshman. He was also a member of "Zach Smith & The Dixie Power Trio" from 1999 to 2008. This nationally known group travels the country and plays music of Louisiana. The Dixie Power Trio can be heard on XM Radio, NPR and other stations. 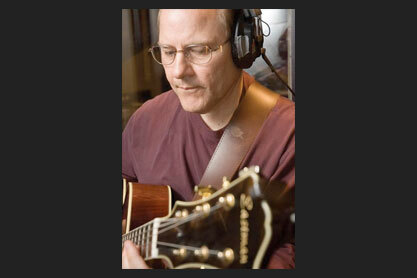 Wayne’s latest CD, “Full Circle”, is a guitar trio recording with special guest. The CD was reviewed in the national magazine “Just Jazz Guitar” Nov ’09 issue. The CD also has received radio airplay on NPR’s “G Strings” in Washington DC and Nick Carver’s “No Idle Frets”. Personnel on the recording are some of Washington DC’s finest and all world class musicians including Chuck Redd, drums, (former drummer w/Charlie Byrd Trio), Michael Bowie, bass (former bassist w/Manhattan Transfer & jazz vocalist, Betty Carter), Bruce Swaim, tenor sax (former tenor sax w/Danny Gatin), Scott Giambusso, bass, Byron McWilliams, drums, Zack Smith, trumpet, and Andy Kochenour, bass.